Whether you want to go hiking, like to play a little volleyball or simply launch your boat and fish for a day, Cape Croker Park has something for everyone's ambition. Swimming and lounging on Sydney Bay is also a great way to spend a day. 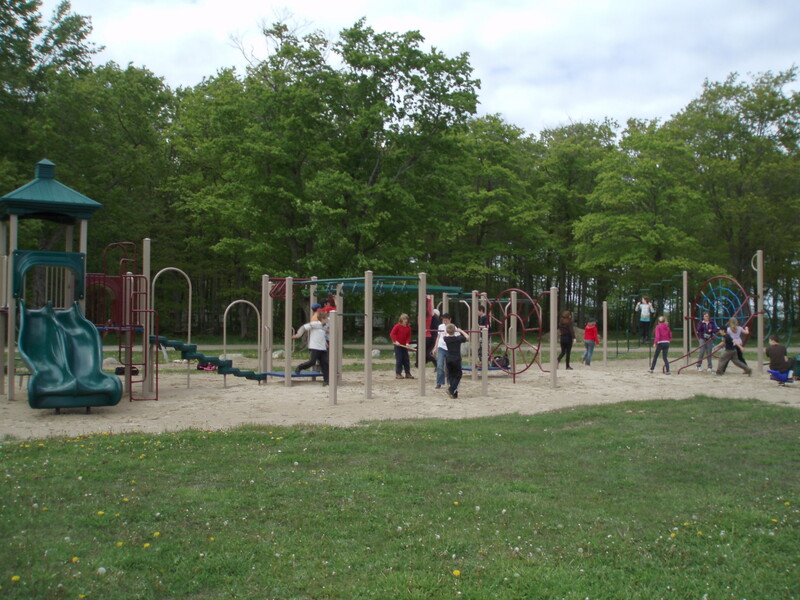 Children can enjoy a new playground. The Bruce Trail also passes through the park and there are several spectacular vistas overlooking Sydney Bay from Jones and Sydney Bay Bluffs. 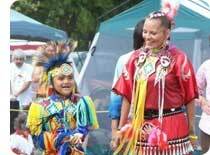 The Cape Croker Park is the venue for our annual traditional Pow-wow. Held during mid-August, the ongoing theme of the Pow-wow is "Honour our Veterans and Elders". This is a gathering of our people to celebrate our rich heritage through the drum, song and dance. When attending a Pow-wow (pau wau - a gathering of people coming together to trade), the following are to be observed out of respect to the Creator and the Pow-wow Ceremony. Everyone is asked to stand and remove their hats for certain songs the only exception is, if your hat has an Eagle Feather in it. Pictures are not permitted during the Flag, Prayer, Honour songs and when an individual is honouring a drum through a whistle. Always ask permission before taking any pictures. Always ask permission before making any recordings. We ask that people don't crowd around the drummers. In our traditional teachings we are to abide by the seven grandfather teachings in everything that we do. 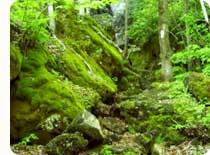 The Bruce Trail meanders through the park as it follows the Niagara Escarpment on it's 725 kilometer length from Niagara to Tobermory. Travelling North-west along the beach, you can stroll comfortably across the wetlands using the Snake Trail Boardwalk. Taking the white-blazed (Main Trail) path to the ladder, you gain access to the top of Sydney Bay Bluff. This Perspective provides the best views of the park, and some would argue, the most scenic vistas of the entire Bruce Trail. The Snake Trail Boardwalk is a 2 km section of trail located through a significant wetland that is home to a very industrious beaver colony. This section also boasts two viewing platforms. The trail is wheelchair accessible, but is closed to bicycles. The boardwalk was cited as the primary reason for the Chippewas of Nawash being awarded the first ever Calypso Orchid Environmental Award, by the Bruce Trail Environmental Committee, for our contributions to the Bruce Trail and the education of trail users. The Caves Trail is a short rugged trail that winds through house sized boulders at the base of the Sidney Bay Bluff and terminates at a hole in the face of the escarpment. This trail is very challenging and offers plenty of opportunities for exploration.